Graduation ceremonies are coming up soon and it’s time to pick out the perfect gift for the special recipient. Graduation marks a transition to the next phase of one’s life and the gift that you give should be equally memorable and meaningful. Gifting a grad poster or collage using PosterMyWall is guaranteed to be one of the most unique and meaningful gifts that the graduate will receive. Here are some helpful ideas, tricks and getting started tips for making the perfect graduation gift! 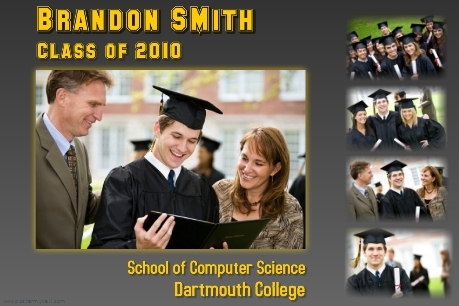 Use photos of important events throughout the life of the graduate. Go all the way back to the first day of kindergarten if you can. Celebrate every step of the journey and every stage of development along the way. Make a poster or collage of all the things the graduate wanted to become as a child such as an astronaut, doctor, marine biologist, etc. and place a current photo right in the center. Display the poster at graduation celebrations. Family and friends alike will appreciate the trip down memory lane. 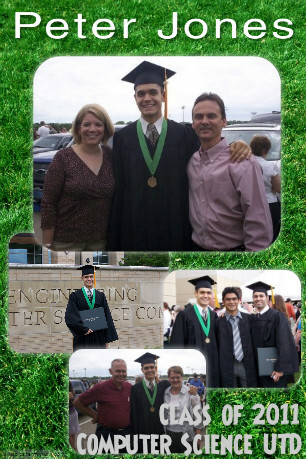 You can get started quickly by editing one of the graduation themed posters below. Click the poster to edit it in the poster maker. 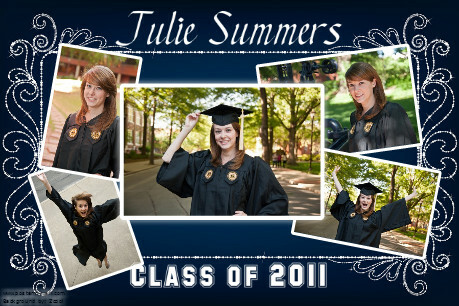 Use our professionally designed backgrounds to give your grad poster an extra special look. 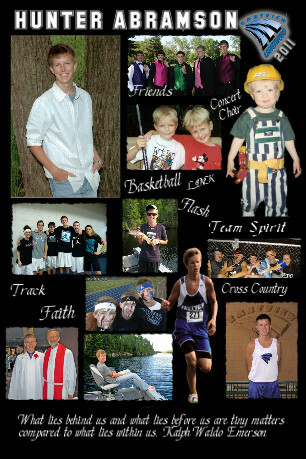 Specifically check out the Celebration and Family Collage categories for making the graduation poster. We keep displaying posters designed by our users on the public gallery. Make sure to give them a look for some creative ideas. Understand the difference between the Collage Maker and the Poster Maker. If you’re going to include 20 or more photos, opt for making a collage and not a poster. Go through our different print and download options using the orange ‘Download’ and ‘Buy Prints’ buttons in the top-right of the Poster Maker. There’re multiple download options including a free one for printing flyer size posters. Many families and friends hold a graduation party to celebrate the monumental ceremony. You can either present the poster during the party or on the actual day of graduation. It all depends on how close you are to the graduate and what you think will be most appreciated. You can also ask other family and friends on when they plan on giving their gifts to the graduate and coordinate accordingly. Visit our Facebook Fanpage to exchange ideas with other members of the PosterMyWall community and get the latest on deals and promotions. If you’ve never used our tools before go through the Getting Started section to familiarize yourself with the options available in the poster maker as well as our printing options.